It's going to be a busy, fun, emotional week around here....the last week of school. On Wednesday morning, Lily and the rest of the 5th graders will have a small promotion ceremony, as they say farewell to elementary school. 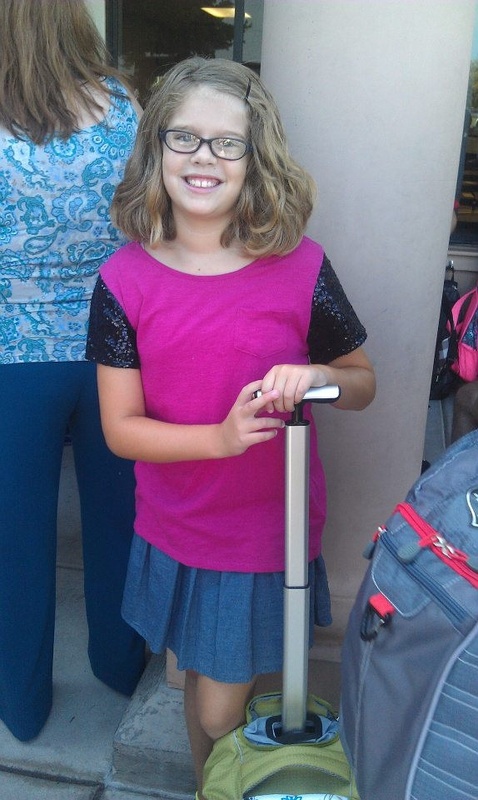 They're all big shots now, moving on to middle school and the 6th grade. It's such a cliche that it all goes by so fast...but wow. How it has. Even though I'm a hugely emotional person, I rarely cry at ceremonies, happy or sad. But we'll see how I hold up on Wednesday morning...I know the 5th graders have been practicing a couple of songs to perform for us parents. Sounds treacherous for me! Then on Thursday, the official last day of school, the entire 5th grade will walk down to our community pool for a big pool party. Lily is soooo excited for this, and I'm excited for her. We live close to the pool, and every year I hear the shouts & screams of excitement from the 5th grade class, while the hired DJ spins tween pop songs. And this year my own girl will be there. Look at that happy girl. 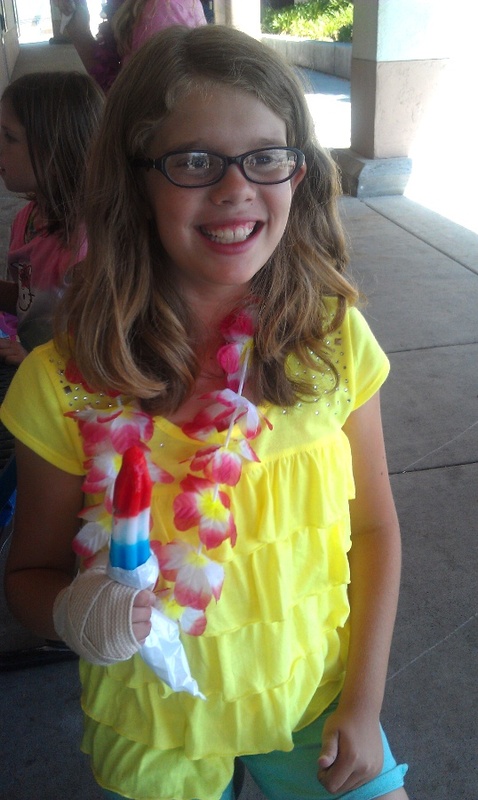 Friday was "Hawaiian Day" at school, and this was taken shortly after the Honor Roll awards (she made it again) and during her Girl Scout troop's wrap-up ceremony. Whew! So much to keep track of and on top of lately. Summer! I can't believe it's here again, so soon. Time flies! I can't believe the school year is over. Your daughter looks so grown up. My oldest daughter is always the tallest too! Glad to pop into your blog.